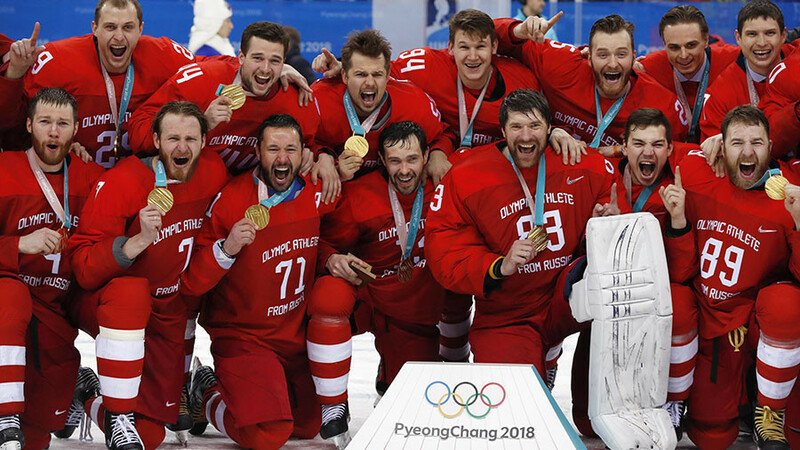 After failing to medal four years ago at home in Sochi, the big Red Machine finally won their first gold medal since 1992 over Germany last night. The Olympic Athletes From Russia, as they were so eloquently named by the IOC, entered the game having out-scored their opposition 14-5 in the group stage and then 9-1 in the playoffs. <span style="font-family:Georgia; font-size:17px;This is the Georgia font, size 13px.There are many things in life that are guarantees. Water is wet, the sky is blue, and if you’re a fan of the Russian national team at the Olympics, seeing your team constantly fail is a sure thing. This was supposed to be their year according to those who believe in wishful thinking. After embarrassment in Vancouver, the home ice was supposed to help push the team to unseen territory (the podium) a place they’d hadn’t graced since 2002. The moment had finally arrived for Russia’s national hockey team as the crown jewel of the Olympics got under way for the home team. Chants of “Russia!, Russia!” echoed throughout the arena even before puck drop as the quest for gold was imminent. The pressure, intensity, and hype was answered within 77 seconds of the teams’ opening game with the poster boy of the NHL and Russia, Alexander Ovechkin, roofing a laser wrist shot into Slovenia’s net to send the crowd at the Bolshoy Ice Dome into a frenzy.